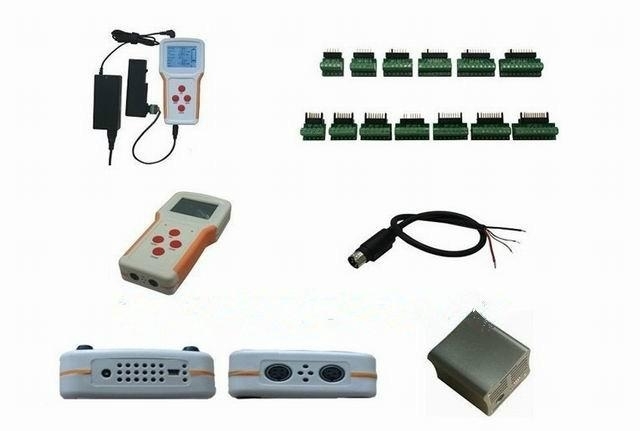 Suitable for 95% laptop batteries in the market, can test laptop batteries' capacity, voltage, current etc, with charge and discharge function, can connect computer to display details data!!! Constant current discharge for double loaders. 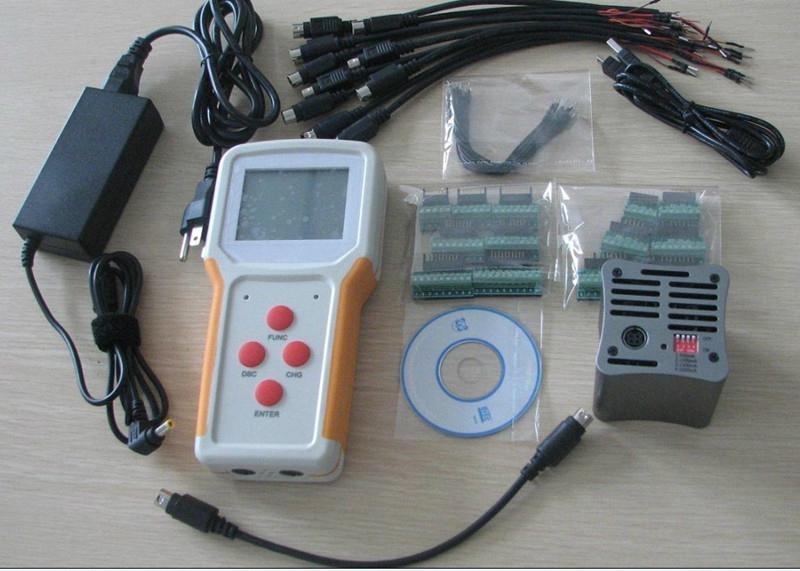 fully charge, which will correct the capacity value in the battery management chip. Battery information can be monitored via three windows. Battery Manager can control machine completely. Right-click menu on the battery bar includes the related commands. Tester goes into pre-charge status when voltage of single cell < 3000mV. Tester goes into fast charge status when voltage of single cell > 3000mA & < 4200mA. Fast charge current relates to the battery nominal capacity. The current intensity begins to decrease when tester goes into constant voltage charge status. It stops charging when the capacity reaches 100% and the current intensity less than 1A or the current intensity reduce to the end charge current. The max charge current is 2.5A.